Eric Sumo gave his life to Christ as a teenager and while being mentored by believers in a Liberian church he felt the call of God on his life to become a pastor. After graduating from high school he began work with Gospel Recordings (www.globalrecordings.net) as a field coordinator taking tape recordings of the gospel they had made in various dialects to the people of the villages in the interior of Liberia. Eric believed the holistic approach to ministry would be far better for these people with so many needs and founded Christian Liberia Village Ministries and began to minister and plant churches. In 2000, he took part in evangelical training with the Billy Graham Crusade in Holland and Leadership training in Singapore at the Hagar Institute. He spent one year in Jos, Nigeria producing gospel recordings in some of the many Nigerian dialects. During Liberia’s 14 years civil war, he ministered to Liberians in Monrovia and the refugee camps; a most dangerous activity. Before he met Helen in 2006, Pastor Eric was volunteering with Gospel Recordings (now Global Recordings) and had completed two years study at Moriah Bible Training Institute in Liberia and three months training with Gospel Recordings in Ghana in Cross Cultural Training. This was followed by his seminary training in Ghana on a scholarship. By 2004 he was also the Managing Director of “Investment Finance Company” a Czech Republic business buying Iron Ore from Liberia. Eric was paid $1,000. USD monthly plus medical insurance, given an apartment within a compound and the use of a car. He was to manage the operations of the company and be the second signature of the company’s account.Eric was applying his salary and bonuses to ministry for the people of the 30 churches that he planted, to Omega Orphanage, and to pay to get what was to be our office rebuilt from war damage while running his ministry. He had the use of the company car to go to villages of the interior helping with wells, medications, zinc for roofs and teaching and training of new pastors. But the combined work load of the company job and ministry was too heavy and by 2008 Eric had to stop his work with the Czech Company because he could not walk away from the calling of God. On his return to Liberia, he met Helen Fletcher who was serving on the Mercy Ship, Anastasis. He showed her many parts of the city and countryside including visits to churches and viewing the post civil war destruction. As Helen was formulating strategies in her mind for helping these people, God was revealing His call for her to serve Him in Liberia. 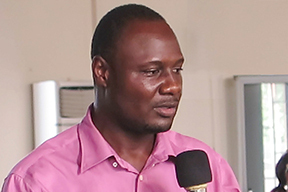 The plans to establish a ministry they would call Village Ministries began in 2006 and Pastor Eric continued his studies in Sociology with a minor in management at the University of Liberia. 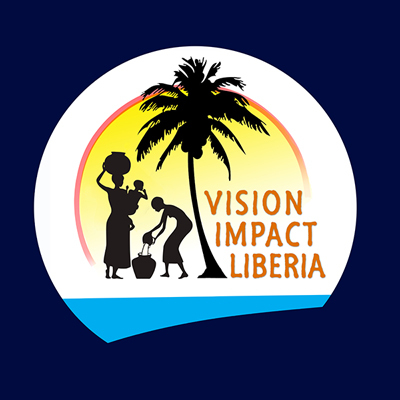 Through much prayer and God’s grace, the ministry progressed and evolved and is now called Vision Impact Liberia. 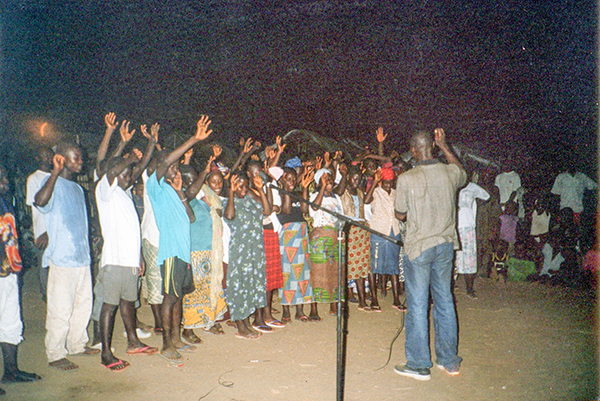 Pastor Eric has led thousands of Liberians to Christ and planted 36 churches. Pastor Eric has been invited several times to the USA as a conference speaker in Chicago, Seattle, California, Philadelphia, New York and Iowa and he also took a course from Rhode Island University on Peace and Non-violence, with honors. He was part of a spiritual advisory team for President Ellen Johnson-Sirleaf before her election and for her first term in office holding devotions with her and other government staff. On three occasions the President offered him leadership positions in government but he declined saying that he was called to ministry and could not do both, not even for the monetary rewards. 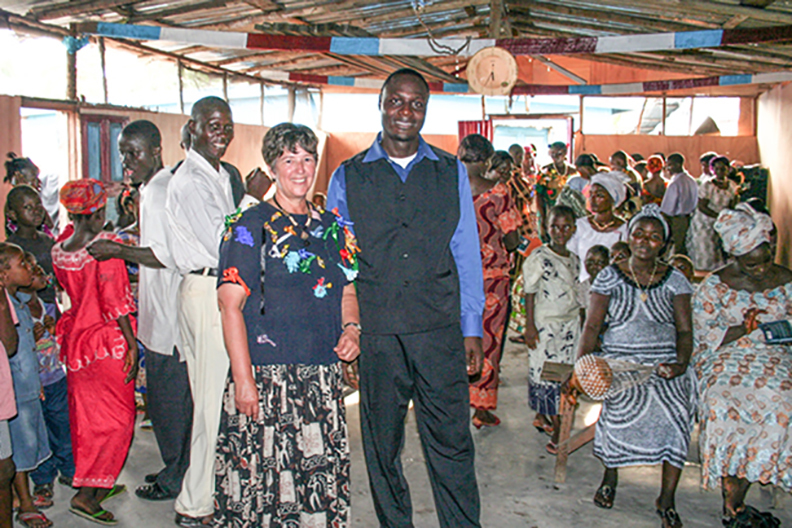 Eric has been coordinating all ministry work of Vision Impact Liberia for the past eleven years. His wisdom for leadership and decision making comes from his many hours in prayer and his intimate relationship with God. His management skills and knowledge of the Liberian culture, geography, villages and people of the interior greatly increases our ability to reach everyone. He considers his integrity and character to be of paramount importance and is very careful with words and actions so as to not defile his character or his relationship with God. In this video, Betty Johnson, a retired school teacher and wife of Earl Johnson, speaks of her time in Liberia in 2014 where she presented at a Christian women’s conference and also toured villages to see the work of Vision Impact under the direction of Eric Sumo. “My name is Gary Janzen, the Executive Director of ICMS, the charity which oversees the work of Vision Impact Liberia. Over the three years that I have been in this position I have had interaction with Vision Impact and have been impressed with their integrity and ethics. There was a significant situation that arose about one year ago that was so strange. There was an individual or group that stole credit cards and used them to make donations to the total of $30,000 through Canada Helps to ICMS and were asking us to send the money to Vision Impact as they had seen their website. After exhausting all the proper channels (Canadian Police and Interpol) we were told the amount of money was “too small to pursue” and that left us with a decision to be made. Pastor Eric was the first to say, even before it was a question, “the Spirit of God tells me, don’t take that money – we don’t want it.” We, of course, were not going to accept it, but Pastor Eric’s response indicated his heart and integrity. That experience, for me, showed I can trust Pastor Eric. Coordinate and oversee all Vision Impact ministry work in Liberia. Maintain and work with the Board of Directors in Liberia. Keep records of all funds received and their application. Receive guests from overseas to show them the ministry work. Send photos and reports of ministry work to Head Office. Contribute to the preparation of the annual budget for submission to the Canadian Board for review and sending on to ICMS. Administer all aspects of the Liberia office and vehicle. Monitor past projects such as wells, outreach projects and pastors in our ten villages. 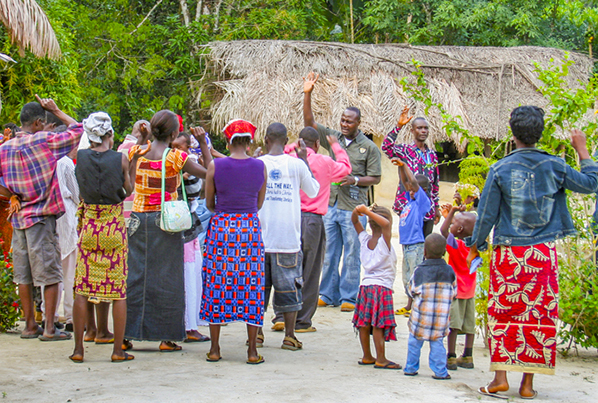 Teach every Saturday at the Bible School for our Village Pastors and church leaders. Help with the Omega Orphanage. Accept all invitations to give a Sunday message or be a conference speaker in Liberia and be a guest speaker at our ten churches and prepare needed messages. Maintain contact with interested people internationally. Maintain regular fast and prayer times with other Liberian pastors. Coordinate three vocational schools and plan and coordinate several training conferences for pastors and church leaders and for women, plus the hosting of various overseas guest speakers for these conferences. Work with UNDP (United Nations Development Projects) post civil war capacity and child soldiers. Coordinate the sponsorship of children for elementary school. Pastor Eric has never received any salary for his work because there have never been enough funds to give to him. Donations allocated to projects through project appeals or donor choices have been applied as requested. On a monthly basis, $100. CDN is given to Helen and $100. CDN is given to Eric from two separate donors. Although it is common practice for a ministry to give a monthly support amount to cover personal needs of a director, we are not able to at this time. Non-allocated financial gifts through ICMS average $400. USD per month and are applied to the office. Office rent due in January, $3,600 USD. Painting of the front of the office, required by the City of Monrovia, for all buildings facing the street due in December $400. USD. 24-hour security for the office, due monthly $250.USD. water delivered to our tower, $100. Office supplies and cleaning supplies $100. A salary for cleaning lady and receptionist (combined) is $175. USD. Electricity to office $100. If we had the funds for air conditioning it would be $100.